I thought it might be fun to wrap up the year with a look at some new logos that hit the public eye this year. What do you think? It took me a few weeks to get used to the new look, but I give it a thumbs up. It gives Walmart into a more modern feel, which is what they seem to be attempting to accomplish through their store remodels as well. I also give this update a thumbs up. The new logo is cleaner, and definitely shows signs of web 2.0. The Inbev takeover of AB has led to the creation of a new “unified” or should we say “plain and boring” logo. The eagle looks like an afterthought. The original wasn’t very pleasing, but the updated version is just as bad. Besides the fact that it looks like it says “n.net”. The new Michaels logo is a double thumbs up if you ask me. I love the typeface the designer chose. 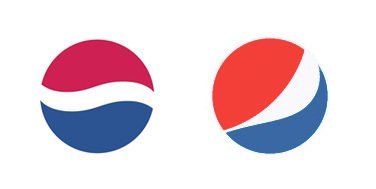 I didn’t even know about this update until tonight when I started searching for images of the old and new logos of the others. Supposedly it’s supposed to be a smile, but it looks more like a wink to me. What was wrong with the old logo? I’m not even sure if this is on their packaging yet, but it is on their website.